Our Goal is to Serve | Homeland Safety Systems, Inc. Founded in 2003, Homeland Safety Systems, Inc. has been the leading manufacturer of electronic security equipment in the State of Louisiana. Headquartered in Shreveport, we have rapidly grown with offices in Monroe, New Iberia, and St. Rose, giving us a varied team of factory trained technicians throughout the state. We have also expanded our market to neighboring states, Arkansas & Mississippi, with anticipated growth into Texas within the next year. We provide services for Local and State Municipalities as well as commercial, industrial & federal facilities. Facility access control systems have become a very popular tool in controlling commercial and industrial complexes from unauthorized access. We provide professionally designed systems that give you the ability to track, record, and restrict access throughout your organization. We specialize in digital remote viewing camera systems with Internet connectivity throughout the world. Each surveillance system is customized based on the facility & is equipped with unique capabilities such as optional audio and license plate recognition. We offer multiple security systems that can be tailored to meet your specific facility requirements. Intrusion alarms are designed to keep your facility both safe and secure. Homeland Safety Systems, Inc. is a certified dealer for Tait, Hytera, and Harris brand radios. We specialize in providing Project 25 (P25) compliance radios that aid in public safety communication. Homeland Safety Systems, Inc. is an authorized dealer of Garrett Metal Detectors. We have trained technicians with experience in installation and service of Garrett’s reliable products. We have designed and installed complete solutions in schools, hospitals, daycares, nursing homes, industrial complexes, jails, oil and gas complexes, apartment complexes, smart homes and many others. Being a state licensed contractor, there is no job we cannot complete. As the manufacturer of our own Access Control and Surveillance equipment, Homeland Safety’s in-depth knowledge of security camera systems has consistently proven itself. It is unfortunate for those who do not realize the significance of security camera footage until after an incident occurs, however, our engineers can guarantee that a facility obtains the appropriate security camera coverage without redundancies. Homeland Safety Systems, Inc. is guided by the belief that the only expectation that matters is that of our customers. Regarding our service, we will always strive to meet or exceed those expectations. Any commitment we make to a customer will be honored, without exception. Our systems feature the finest components and technology available. We will not jeopardize the integrity of any system by using inferior equipment or parts. Only the most respected and reputable leaders in our industry are represented, such as Ademco, Sony, Panasonic, Apollo, Bogen, and Denon, to name a few. Professional consultants are available at your convenience to work with you in designing the system, or combination of systems and services, to meet your particular application. They are trained to analyze your needs and then work with you to provide cost effective solutions. They can also provide information on available finance and leasing options. As a local company, we take a personal interest and responsibility in our customer’s facilties and businesses. 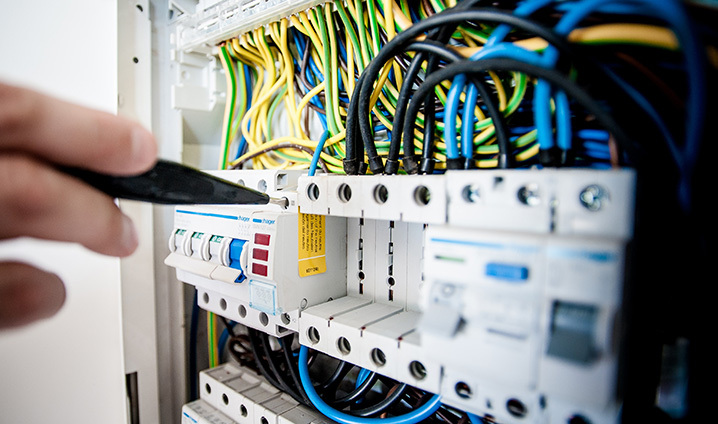 We, therefore, enforce very exacting standards for all system installations – which includes standards of training and continuing professional education. It is our policy to provide our customers with unparalleled service and support. Employees are available 24 hours a day for the convenience of our customers. Service is normally available on the same day, as requested, including after normal business hours with overtime fees, upon agreement by the customer. Extended warranty programs and regular service rates are available upon request as well. Our engineering and sales staff are highly trained for the worst situations that can arise in commercial facilities. From weather events to active shooters, we can help you plan an emergency response plan to limit your liability in a fluid situation. These incidents unfold quickly, usually between 2 to 3 minutes, so literally every second counts. If we can cut down the police department’s response time by even a few minutes, it’s going to have a huge impact on the outcome. Owner, Homeland Safety Systems, Inc.
For over 50 years, we continue to provide extensive risk assessments and install complete safety solutions across Louisiana, Arkansas & Mississippi. Risk Assessment for your Facility? ISN’T IT TIME TO PROTECT YOUR FUTURE?